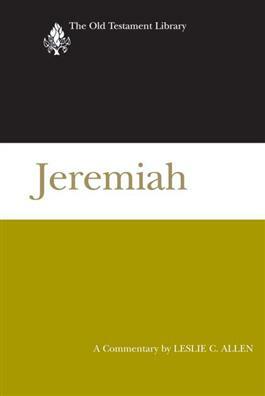 This book of Jeremiah offers a remarkable range of literature, including prose, poetry, homilies, oracles, and proverbs. This commentary understands the book as a work of religious literature, to be examined in its final form and yet with careful attention to the historical contexts of writing and development through which the present text took shape. Jeremiah proclaimed a message of coming judgment, because of the people's unfaithful worship, and yet also emphasized the call to know Yahweh and to live as God's faithful people. Through it all, Allen identifies a tragectory of grace, in which the proclamations of doom can be understood within the context of promises for a renewed future.